with every part of our lives. The scriptures do not speak of a fragmented heart. They speak of a callous, blind, uncircumcised and blind heart. Our point of using the illustration of the fragmented heart is only to help us discover the links between our hearts and our desires. Through this we can discover the different 'loves' of our heart. 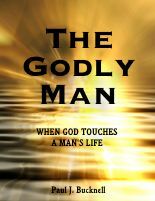 --- Purchase The Godly Man and its ten studies in easy epub or pdf format! Each of these chief affections that we prefer over the Lord's instruction is a god in our life that must be destroyed. We have not well understood the great difficulties that are associated with these 'little loves.' Their very presence in our hearts increase our inner confusion because of the competition for our loyalty and protection. Below are two illustrations. Much of our worn out, anxiety, burn-out and confused symptoms arise from having multiple affections. We were designed only to have one. Singular devotion enables us to live with confidence, clarity, and strength. All our focus is on what the Lord wants. What He says, is our wish and action. The Christian life is a simple life. We return to the basics. Only by focusing on the Lord will we be able to seek His kingdom and His coming. Otherwise our minds and hearts will be elsewhere. The devoted Christian still has temptations, but they are much more obvious. There is less confusion of heart and focus. They stand out more and are much more easy to overcome. We want to overcome them. Major loves compete with each other. A kingdom with three kings, each trying to get stronger and gain more influence, is never at rest. There are two major energy 'leaks' in this system. (1) Each of these felt needs must be attended to. (2) The relationships between each area must be overseen. Impurity causes 'burnout' or depression because our systems cannot keep all of them going in good condition. We tend to focus on one or two areas and neglect the others. Spiritual burnout comes when we neglect our spiritual lives with God. Lukewarmness comes from having many smaller parts which choke out real affection for the Lord. Temptation is so effective because we have secret desires for different opportunities. The fragments of our hearts are areas that are to some degree hardened and calloused. Our heart does not need to be so hardened, but we choose to put our affection on other things and our hearts are more and more darkened. In order to reunite our heart, we need to repent from the other loves that we have chased after. We have committed spiritual adultery and must turn away from our other 'partners' and return back, contrite and faithful. As we gain the Lord's forgiveness through Christ's blood, we will again be able to choose the Lord's way in those parts of our hearts. That area will gain the Spirit's light. The key lesson for the Christian is to remember that his heart is only darkened because he has put his affection elsewhere. He can return back anytime and put his love back in the Lord. Even though there might be a great conflict and strong emotional attachments, the truth is, if we serve the Lord, we will gain purity of heart. We should note that God uses discipline (see Hebrews 12) to help implement this process. Discipline is the process where He commonly uses consequences to highlight a special area of our lives that need to be worked on. By focusing so much on our own efforts I do not mean to ignore the Lord's initiative. My intention is to complement and speed up the Lord's work and effort. But the goal of our instruction is love from a pure heart and a good conscience and a sincere faith. (1 Timothy 1:5).